How full do you want your pillow? While all our pillow cases have zippers so that you can adjust the fill amount, sometimes it is hard to know what feel you like when you lie on a pillow that is too tall or too flat for your liking. Because pillows make all the difference in knowing what firmness of mattress is comfortable, our showrooms now have two firmness of each pillow for you to try out. Of course you can add and remove fill still, but to be honest, that gets a little messy, so we did it for you. Both pillows pictured feel very different underfilled or over filled. An under filled a kapok pillow feels like a feather pillow, fluffy and very pliable; an underfilled shredded latex also has been liked to a feather pillow because the fill is pliable, but instead of soft fluff, imagine a slight bounce. With both shredded latex and kapok an over filled pillow holds it shape well and can be firm, though again, the bounce of latex is unmistakable and the firmness of well-packed kapok becomes prominent. Wishing you all the perfect pillow. 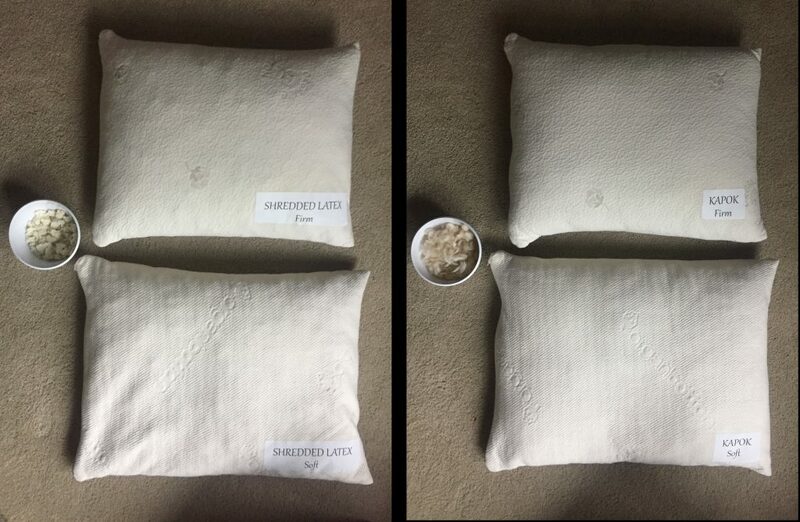 Our two lightest and fluffiest pillow fills, side by side. But which do you choose? Kapok (on the right) is a plant fiber and woolly bolas (on the left) is an animal product. Kapok carries the most fluffing ability, comparable to a feather pillow if you understuff the kapok. Its light, airy fiber will certainly be a float away fiber but does lose its loft as it is slept on. The bolas are the more cloud like fill. If fluffed every night, they maintain a springy feel that doesn’t deflate as slept on. Both fibers overstuff well, kapok producing a solid, firm pillow and bolas, a springy, firm feel. 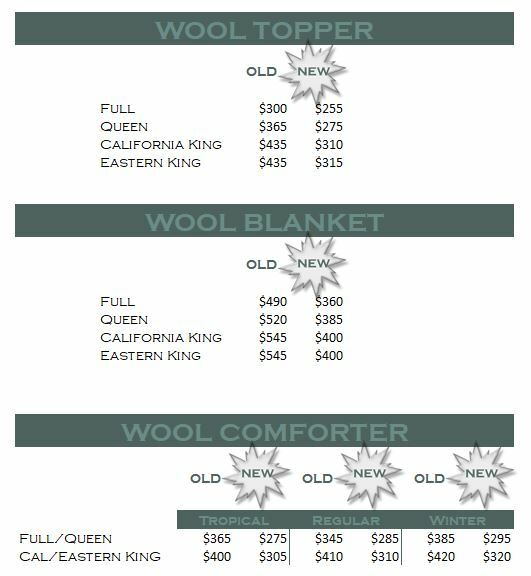 Thanks to the mill’s lowering their prices, we are now able to lower the prices on all our premade farm wool products, at least of the larger bedding sizes. Of course, we could keep the higher profits to ourselves, but it feels good to share. One of our goals is to make natural bedding as affordable as possible, so a price cut it will be. Birth and pregnancy are beautiful, empowering moments in a woman’s life and can be complemented by knowledge and a few tricks. This is my personal experience with bedding and pregnancy; perhaps it may be similar to yours. My fourth pregnancy was fairly simple as mine usually are: at the beginning there was an extra tiredness, a need to sit down frequently, and a wondering if I was really pregnant; in the middle, I was loving the big belly, finding new pressure points, going on frequent walks to relieve sore joints; and at the end, there was the hefting around a giant, heavy belly and noticing different pressure points again and remembering that I actually do have abdominal muscles though I can’t feel them. The first three months, nothing changed between me and my latex mattress. We still enjoyed each other’s company, I slept well. My medium over a firm with quilted ticking was serving me well until about month four when I noticed I started waking up more frequently during the night. Then I went on vacation and stayed in a college dormitory with a cheap, cheap, cheap spring mattress. I had a complete inability to keep from rolling toward the middle; the amount of abdominal work it took to stay on my side of the mattress made what was left of my abs sore the next day, my belly was either way too low if I faced the center of the bed and way too high so that either way, I kept falling toward the saggy center. If that wasn’t enough, being used to a nice comfort layer of my own mattress, my hips could not handle the tension of the springs and forced me to take the cheap memory foam cushions from the couch to use as a floor mattress. When I got home from that trip, I realized that my hips had slowly been protesting all along and I had to do something. I stole my husband’s soft layer of layer and lay it on top of mine. That was it. I needed that. So I ordered a new slab for me and didn’t love its squishiness but loved being able to sleep mostly through the night. The layer was super squishy since I merely covered it with a sheet under my sheet and didn’t put it in a new bit of ticking, just on top of the original arrangement of medium over firm in their ticking. Interestingly enough, when I switched to the softer layer, since my head was higher on the mattress than comparatively to the firmer combination, I needed to take some fill out of both of my pillows. Then I had the perfect sleeping solution again. Come month six, I was waking up a few times a night but had resigned myself to this as I remembered from other pregnancies that waking up is a bit unavoidable when you have to find new positions to sleep in. What I was unwilling to resign myself to was the deep ache that started to come from my left sacralilliac joint. I knew my pelvis would start expanding eventually and that baby’s head was tucked down on that side anyway, but the mere act of lying down would drive tears into my eyes and was something to be reckoned with. The only thing that would help was walking, so I would often walk around my culdesac for a half hour before I could go to sleep and often took my husband on mile long walks which actually did completely loosen up that joint and gave me temporary relief that even the chiropractor, who I had been seeing regularly, couldn’t provide. While these long walks were amazing at letting me fall asleep again without pain, it wasn’t until I asked myself what the right side of my hips were doing to cause my left side such discomfort that I realized that my sitting position while I was driving was the cause of it all. I had started driving my children to a school 45 minutes away, so needless to say, I was putting in a lot of drive hours. Once I scooted the chair forward and made sure that I didn’t twist my body to let my right foot reach the gas pedal, the pain went away that week. Phew! Back to decent sleep and no pain. Month eight was way past my joking about how hard it was to roll over in bed from side to side and figuring I was carrying the weight of a couple bowling balls around, all in my belly. No, month eight was countdown time. Now I love so many parts about being pregnant, the amazing craziness of my body knowing how to grow a baby without my mental intervention, the intimate connection I get to share with another human being, the chance to participate in life, the change in social expectations, even the chance to look completely different from normal, but I will say that to get my own body back is always quite welcome. Once my new pressure points on my hips kept me up for an hour in the middle of the night, I knew I had to do something about them. I started with the mattress. Should I make it softer, try a different sleeping position, use a pillow between my knees? The pillow in between my knees seemed to make the pain worse, so I ditched that. I tried sleeping slightly on my back, propped up with a blanket folded behind me and tiny pillow under my belly so that it wasn’t hanging in midair, but that was only variety and not terribly comfortable. Giving my husband back his soft layer and going back to my 6″ combo of medium over firm surprisingly did make a little difference and I slept a little better, but it was not until I added a medium layer to my medium over firm that sleep came much more easily. I found the latex cradled my belly and supported it well, well enough that if I rolled into it too far, I would give baby hiccups, which he had been getting for months when I would sit cross legged or at a 90 degree angle when driving. Because we needed a new ticking made for the 9″ version of the mattress now (my husband’s side had been 9″ for a while but the top layer had been sitting on top of the ticking, wrapped in a couple of sheets), I had my sewing room make a Knit Ticking instead of the Quilted Ticking we previously had. The flexibility of that ticking was noticeably different and with my growing pressure points, I thoroughly appreciated latex’s ability to sink in underneath me instead of stiffly supporting my body. Despite ache free sleeping, I had started waking every few hours to roll over and trying not to wake my husband with my huffs of exertion as I did so. When I woke up one morning with a slight pain on the right side of my belly where the baby’s back was, I ignored it until the next day when it started spreading down my side. Bother. This was an easy ache for me to solve and I should have been on top of it months ago, but I’ll admit, I got lazy. I had been hefting around that belly of mine through the nightly turning, just letting my skin and bones support it. I knew I should be tightening my abdominal muscles around it every time I rolled over and doing so took care of that ache quickly. Another month of ache free sleeping was on its way. Month nine came with yet a different hip pain, this one I just couldn’t figure out after all my previous adjustments to my sleeping positions, mattress and supplements. By now my legs had stopped cramping when I slept, but my right hip was just sore as soon as I would lie down. Finally I realized that this bed ache was my fault. I had been accustomed to sleeping on my side with my upper hand on my hip so that I wouldn’t put that hand in an awkward position and it would fall asleep. Once I let that hand rest on my belly and transitioned to sleeping on my right side more, the ache alleviated. Sleep was still pretty good. About three nights before baby came, I knew he had to be coming soon as it started taking me half hour to fall asleep after rolling over. Labor began for me in the middle of the night, a first as it usually began in the early evening. I was so grateful that I got to run the marathon with some sleep under my belt. After writing this post, I’m rather surprised how intimately my mattress and sleep were part of this pregnancy. Maybe it is in part because I am one of those people who have always needed a lot of sleep, so I do make it a priority; maybe it has to do with relaxing and how much better one can feel the body when you taken the time to go inward, which is easy once you lie down and the day is over; or maybe I just enjoy having a body in good working condition and all my adjustments did enable that comfortable condition. Whatever the reason, I am grateful for options and the chance to tweak my mattress. DIY all the way! If you have had aches and pains during pregnancy during your sleep that you have successfully fixed, please share in the comments below. How have you tweaked your mattress, your sleeping positions, your health to let you get a better night’s sleep? Q. 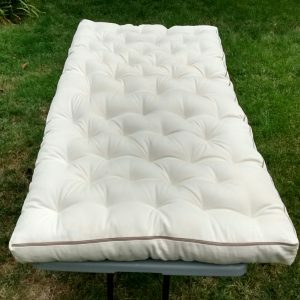 We have a 4 1/2 month old who is growing out of his co-sleeper and we want to make him a mattress he can use for several years. What do you think is the best route for an affordable baby mattress? What is the most common build? A. There are many ways to make a mattress. Here are a few ideas that have been made with our products. This first one is the most common, the other two more creative. A 3″ medium of natural latex inside an expandable ticking would save room for another layer later, wool batting is optional. This is the build in my youtube video here. A full sized wool topper folded in half would be somewhat thin, but sufficient for a few years, if you don’t mind a somewhat permanent crease in the middle when you unfold it to put on a mattress. It would also be a nice addition to a 3″ piece of latex later. Two mattresses out of one piece of latex: Cut a crib mattress out of a Twin piece of latex and save the larger L shape of the latex for later when your child needs the larger space. Then you can put both pieces together in the same ticking. This can also be done with a Full sized piece of latex. Two cribs will fit into a Full. Q. In the most common build of 3″ latex & expandable ticking, is there a reason you chose that particular ticking as opposed to the other options, two of which are less expensive? A. I mentioned the expandable ticking because it is a common choice with budgeting parents who know that their child will be comfortable on 3″ of latex until they near 100 lbs. They often want to buy a second layer later when they have time to save for it. As latex is said to last 20-30 years, that first layer of latex will still be fresh to use in the mattress when it is turned into a 6″ mattress. Then that first layer can either be placed on top of or under another layer to create a new feel. See The Banana Test for more thorough tips on picking depth and firmness. The Twill Ticking is also an option, in fact, all 3 of my children have it on their mattresses. It is durable and simple. Its stiffness makes it strong enough for the tufting needle to pierce without snagging it which is why we recommend it for use with our wool flake when making a wool mattress. The Knit Ticking is also an option. It is made of the same material that the Expandable Knit is, so both cases are quite flexible, letting the sleeper feel the latex or wool underneath completely. It being a static height usually is cause to choose a 6″ combo of latex that will last the child into adulthood. The Zip Off Wool Ticking is also an option. Its best features are, of course, the removable wool puddle pad on the top of the ticking. It works well for parents who want a wool puddle pad, but don’t want to buy both ticking and puddle pad. The sateen fabric covering the wool batting on our topper is very soft and smooth. It is nice to have a thin layer of fabric between you and the wool. Wool batting has its limitations, while lofty and quite fluffy, you should be aware that more that 3 layers of wool on top of each other may not only shift around easily (thus the tufting on the toppers) but also may easily form body trenches, unless your child is very active on every surface of the mattress. Keeping in mind that every layer of 3 lb. batting compresses to about 1/2″ and a layer of 4 lb. batting to about 3/4″, you have a fairly thin mattress with only 3 layers. That is why I mentioned folding a topper in half, the fabric layers and probably the frequent straightening of the fold should help the top to compress fairly easily. Of course, you could make your own topper with our kits here. Q. Would it be cheaper to fill it only with wool batting? A. No and it is not advisable to make a mattress out of just wool batting, a topper, yes, but a thick mattress without wool flake and just batting will trench too easily and leave you with body impressions. For instructions on making a wool mattress, see this picture tutorial or this diagram. Wool batting is a nice addition for comfort or protection of the latex. See previous paragraph. Could adding the wool batting on a medium 3″ alleviate the issue somewhat? Would something like this work: A 3″ firm latex instead but with wool batting. Could this configuration make it sufficiently supportive for an adult to sit on for a short time and somewhat soft and abundantly supportive at the same time for a child to lie down? A. I find that reading books for 15-30 minutes on my children’s mattress is not cushy comfortable, but it is certainly tolerable. Adding the wool batting will deepen the mattress which will provide slightly more comfort. Substituting the firm layer would probably be a good idea if you plan on making reading or sleeping on the bed a habit. Unless your child is a sensitive sleeper, he or she will probably mostly notice the wool and only slightly notice the firm latex. NOTE: Wool toppers are not discussed here, only depths thick enough and solid enough to be a mattress. Q. Can you use a power base (or adjustable bed frame) with the latex? Will it harm the latex? A. Yes, you can use a power base with latex. Latex is a very flexible foam, so it will not mind constant bending. However, it is worth noting, that when one is sitting up, one puts a lot more pressure and use on the surface then one does when lying down. That top layer of latex will wear out sooner than the other layers. Of course, that is the nice thing about a layered latex mattress. When one piece wears out, you can simply replace the one piece instead of the entire mattress. Q. We may be interested in possibly putting the mattress on the floor for a Montessori bed. A. If you do, especially if your house is not climate controlled, make sure to air out your latex or wool mattress frequently, maybe only seasonally if you have air conditioning. If you can’t flip the entire mattress over to let any accumulated body moisture evaporate, flip half of it up for a day and the other half of it down the next day. While latex and wool are both natural antimicrobial and I have never had any customers with any issues, common sense says that heat and bacteria mingled for long enough in the right conditions could lead to mold. 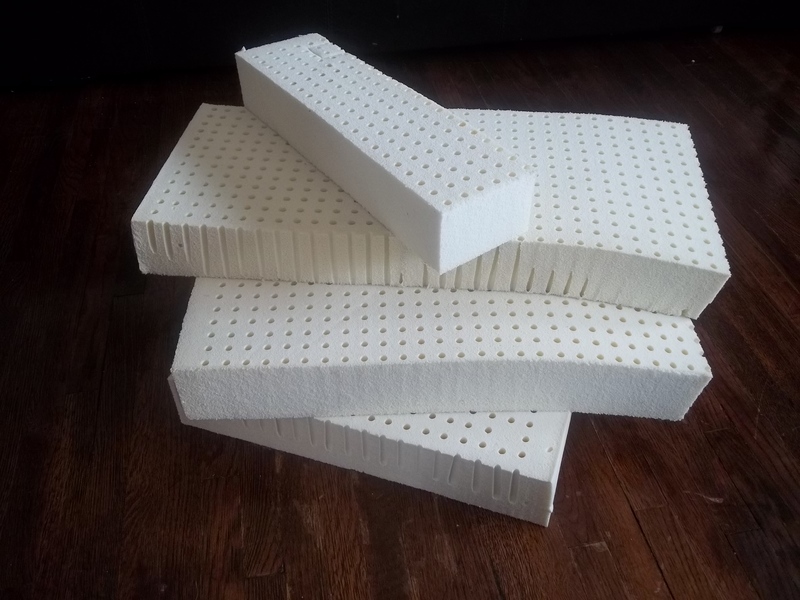 Q. I am hesitant to use my box spring as I know they are generally treated with flame retardants but I don’t want to loose the height it provides. Do you have another suggestion? A. The most common supporting systems are slats as they let the latex be a little more flexible than a flat surface like a board or the floor. Some make their own slats of 1” x 4”s, stable them to a ribbon and tie them down to the top and bottom of their metal frame or nail them to their wood frame. Slats are usually spaced 3″-5″ apart, much farther and the latex will sag through them. A foundation is a strip of slats on top of usually an 8” wooden frame. 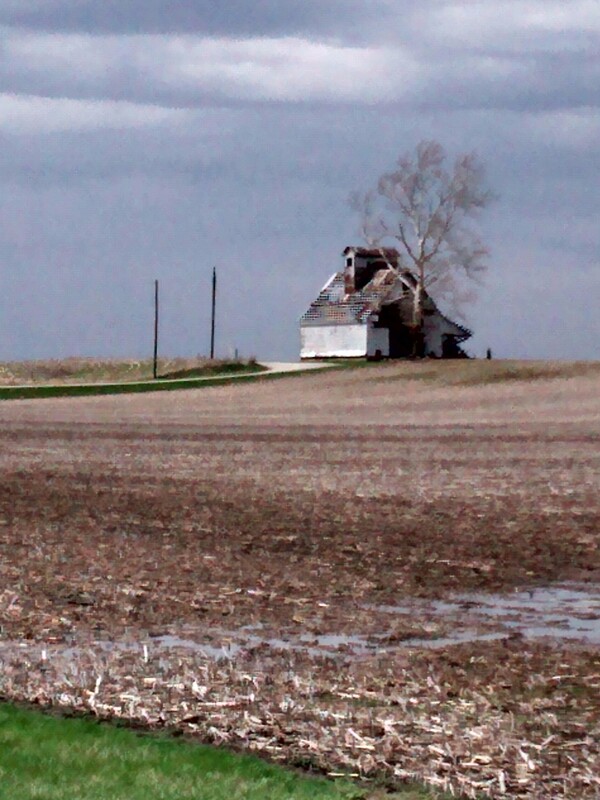 Sometimes the foundation will come covered in fabric which you may want to check for flame retardants. Your current box spring may be slats instead of springs which can be reused keeping in mind the slat distance and the need for letting the latex breathe occasionally. I have had customers upcycle pallets as ready made foundations. The foundation is where you will get your height. Tufting is a simple and useful addition to your wool mattress or topper or comforter. The tufts help keep the wool from shifting inside the ticking and help you control the firmness of your mattress. The technique is no more than down and up and a double knot. The above slide show should help clarify. This technique is not necessary when wrapping a sheet or two of wool batting around natural latex. The latex will grip the wool all on its own. It is great for loose fibers that would want to shift inside their cases, such as wool flake, kapok fiber, shredded latex, and wool batting. 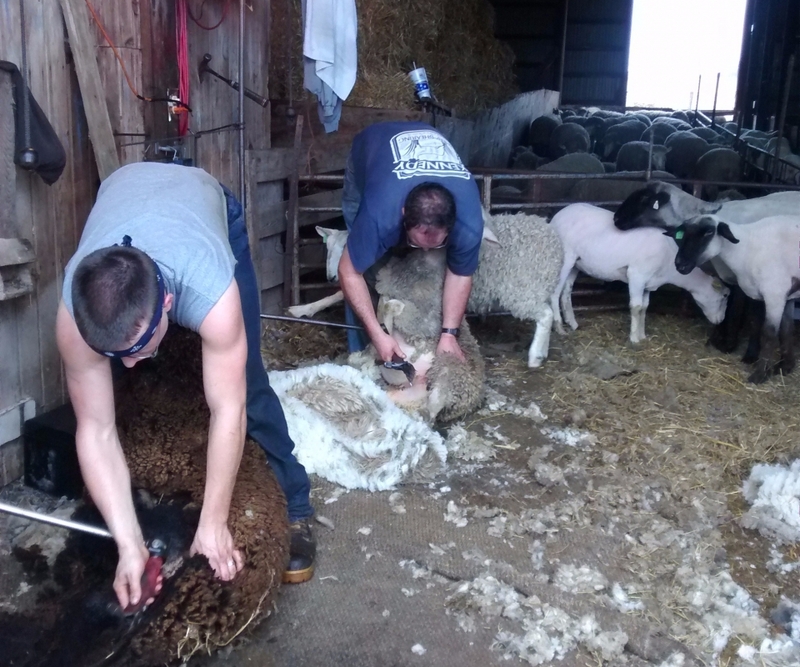 Allow 12″ of twine per tuft as having enough of a tail is essential to easy needling. Do not snip twine to 12″ lengths before tufting, leave the string long. Distance your tufts 12″ apart for a wool comforter or topper and 6″ apart for a wool mattress. The thick depth of mattress can create drastic valleys when tufted. To avoid the valleys, keeps your tufts relatively close together and follow Consideration #3. Keep in mind that the tighter you pull the knots, the deeper a valley and the firmer a mattress you are making. With a wool mattress, deep valleys mean that you will need to smooth it over with a wool topper. Alternatively, if you tufts are only 50% tight, the hills and valleys will be moderate and generally tolerable. 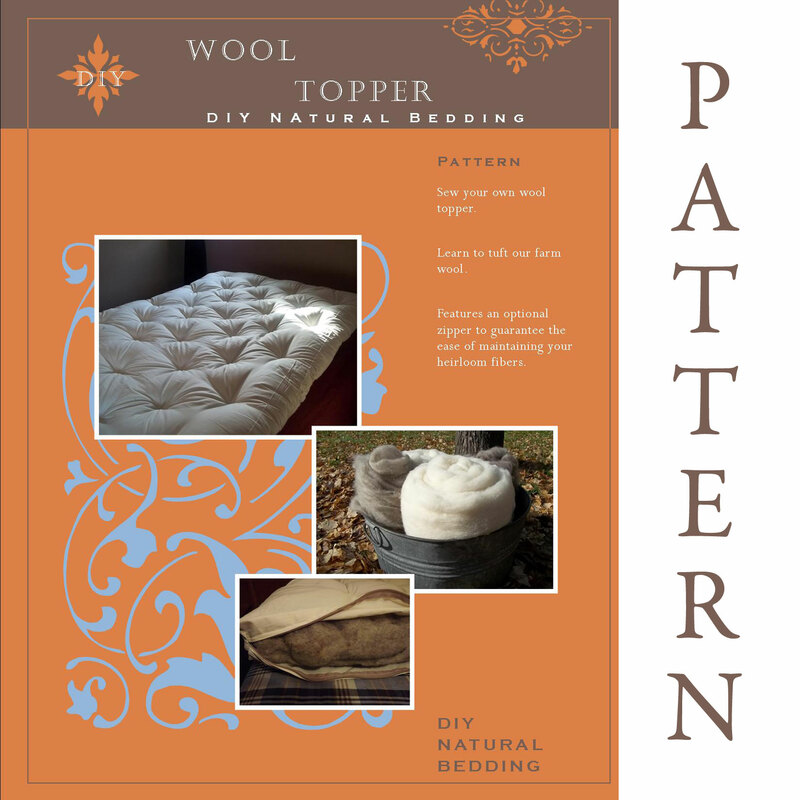 Toppers and comforters are thin enough and use wool batting instead of wool flake, so tufts do not create drastic hills and valleys in them. Our toppers and comforters have been machine tufted with circular stitches, so this technique will not be evident on them. The softest of all our fluff is our woolly bolas. Malleable and fluffable. While the bolas and pillow cases have been available separately in the Supplies section, we have now calculated weights and prices for you when all three pieces are combined. Now on all of our pillow cases, we are hiding the zipper pull or the slider inside its own pocket. There is now no remote chance of the zipper coming open on its own. The jingle of the pull will not waken you in the middle of the night as you roll over and rustle your pillow. Sleep in silence and peace, knowing the zipper pull is secure. We love being able to offer you our product at discount prices. After a recent inventory of the “fall off” pieces of custom cut latex, we have a wonderful collection of clearance latex to offer you. These pieces can be used for couch cushions, bench seats, patio furniture and much more. There is latex for a variety of your project needs, big and small. We would love to see how you get creative with these pieces, by posting your photos under the “Community” tab in “Customer Pictures” on our website. Order your clearance prices HERE. For your ease in finding a piece to fit your needs, check out this link HERE for a list of all dimensions available. Please be aware that there is only one piece of each clearance piece available and this list is subject to change as the pieces sell out. I have been getting quite a number of wool mattress inquiries lately. It always excites me to talk to people interested in physically participating in their mattress choice. However, my wool flake prices, while very fair, have been too high to enable some of your plans. Thus, to share in your creativity, I will lower my wool flake prices. We are here to empower your choices, which we already do in carefully sourcing our wool. Now let us provide even better conditions for your inspirations. Mattress making ahead! Wool Flake product is available both in its product as well as in the Pillow Fill Calculator, where you can plug in your preferred depth to know how much wool to purchase. Wool Batting Wrap – Why? 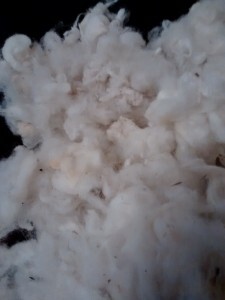 Wool batting is a sheet of wool fibers, aligned and layered in sheer sheets on top of each other, over and over until the batt’s desired weight is achieved. A wool batting wrap around latex both is used both when making couch cushions and when making a mattress. Here’s why. Latex is bouncy. It has a nice rebound to it that keeps body impressions from lasting like they do in memory foam. Wool does not have a bounce. Much of our wool has a crimp to it, which gives it strength and body. 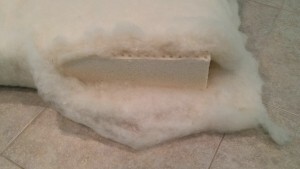 A layer or two of wool softens the bounce of the latex and moderates the sponginess feel of the foam. It also smooths out the edges of the foam for a slightly rounded look. 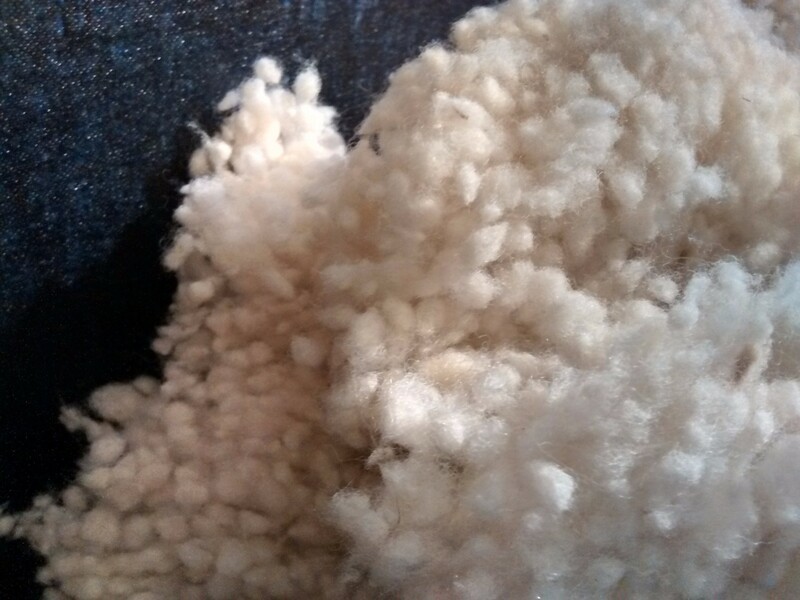 Wool batting is used to add some puff to your cushion. Sometimes this is an even layer around, sometimes the batting is folded in a pyramid of layers on the top and bottom of the cushions to add a little extra height there and give a rounded look to the cushion. 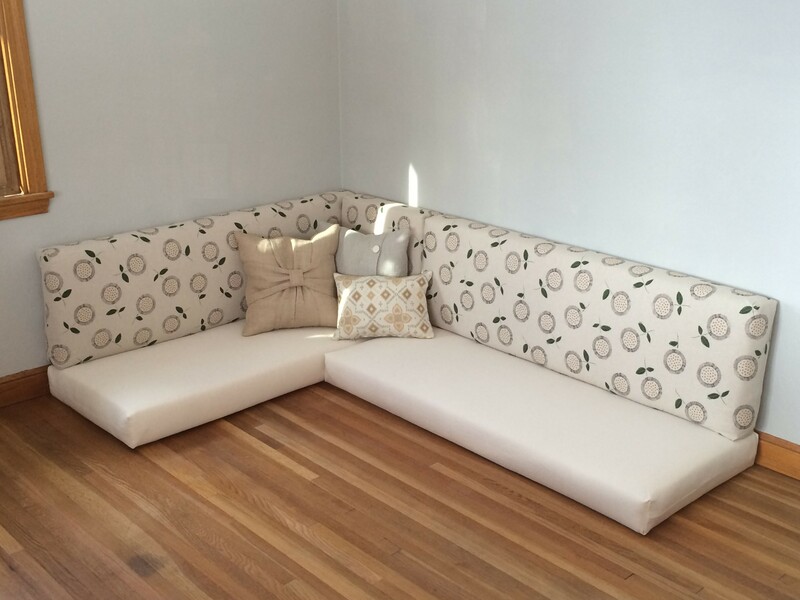 As I say in the post How to choose Firmness for Couch Cushions #4, all fabric has stretch to it, even a woven fabric like a twill has a slight stretch to it. Think of the way a pair of jeans fits snugly fresh out of the dryer, yet loosely when they go into the washing machine. Another trick besides cutting the latex a 1/2″ larger, is to wrap the latex in the wool batting. If the case and the latex are made the same size, adding in a 1/2″ a wool batting wrap will provide that the case will still look full after it has stretched its 3%. If you ask us to wrap a latex cushion in batting, we neither staple it, sew it or glue it. We merely wrap it around the latex and let time do the work of adhering the batting to the latex. 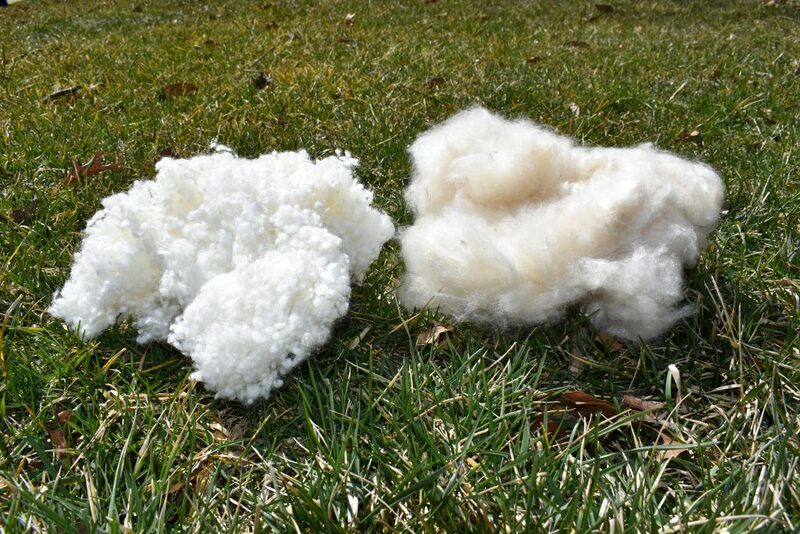 The wool fibers will twist in to the latex in about 3 months, leaving it gripping the latex. 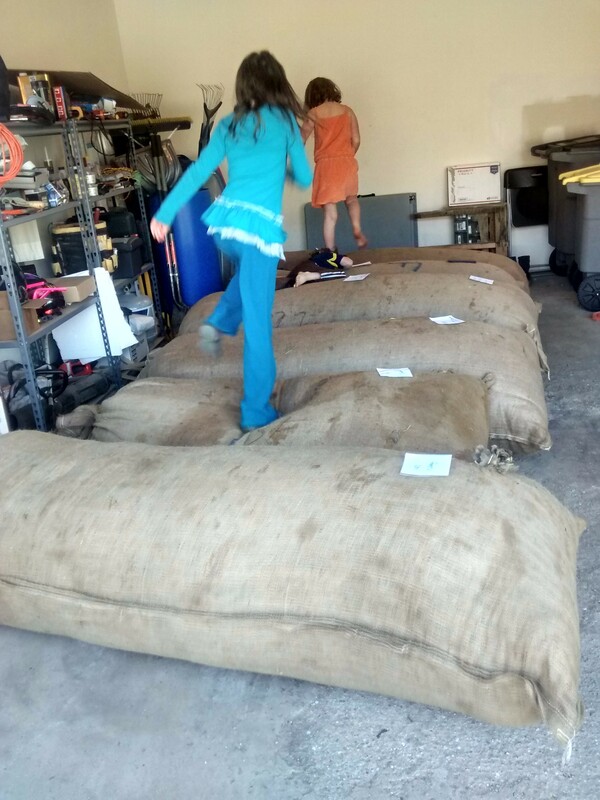 Wool batting is not sticky like Dacron batting would be, so even without an inner case, the latex wrapped in wool will slip into the outer case easily. 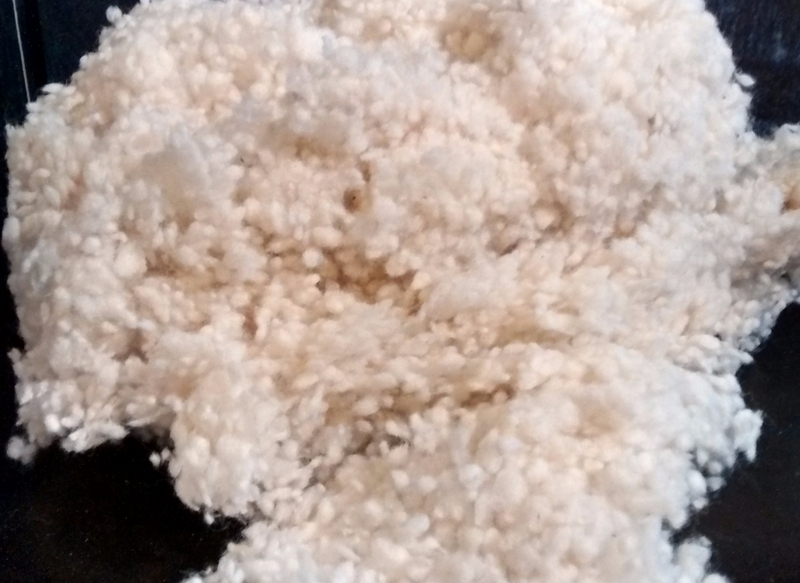 The batting still may be removed if desired, but it will leave behind small fibers in the latex. How you wrap the natural latex cushion is up to you. Some choose to wrap the entire piece of foam, top and bottom, front and back, sides. Some choose to wrap just the noticeable areas, the front, the top and bottom. This minimal wrap focuses the batting where it will be most useful. It is called a bookwrap. We let you participate in your project by cutting the batting and wrapping it around the latex yourself. We will provide you with cutting maps so that you need to do no number work, no figuring, all you need is scissors and a space to work in. After the cushion is wrapped in the wool, stuff it in your case and zip it shut. Simple. How Does it Work? I present three chicken scratched drawings for your pleasure. 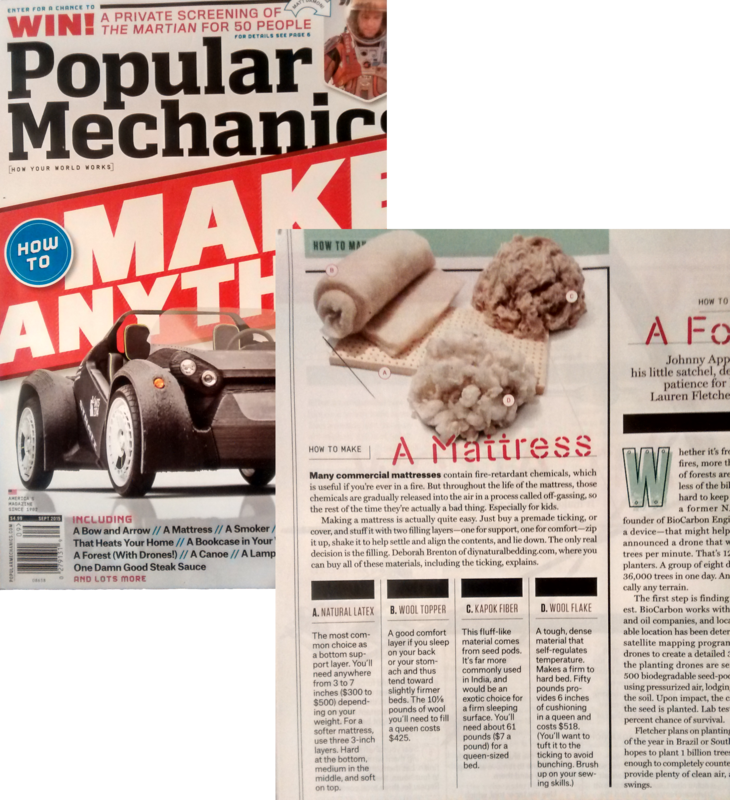 Popular Mechanics August 2015 issue is a DIY issue. It is full of DIY ideas, including making your own mattress. An hour long interview and a few emails produced this short summary of some of our options. As all of our options are customizable, you may find more accurate numbers if you call me for calculations, but the gist is there: You CAN make your own mattress! These tips are based on the assumption that the primary purpose of the couch will be for sitting on. If the comfort of the couch is more important for sleeping on, see our The Banana Test for determining firmness. Do you like it firm or like a standard couch, rather cushy? Firm is considered medium in couches. Extra firm is considered medium-firm in couch cushions. Hard is considered firm. The thinner the latex, the less firm it feels. Depth can make up for the firmness. A 2” firm will feel the same as a 3” medium. A 3” extra firm will feel like a 4” hard. The heavier you are the deeper latex you will need. Average adult weight (130-230 lbs.) will not feel the supporting wood or spring foundation or on 5 – 6” of latex if the latex is firm, extra firm or hard. A 300 lb adult will want a minimum of 6” of hard latex or deeper of a softer latex. Cutting the latex ½” to 1“ larger than the cushion dimensions gives a nice full look. The firmer the foam, the less we will add to the dimensions. Its All About Your Health airs around the country. Let us know if you heard our being mentioned. Wool Topper Pattern & Kit now Available! DIY your own wool topper with these supplies and instructions. We have been looking forward to sharing this DIY option to you for a long time and it is here! We include helpful details like what type of fabric you want and why and how to find free fabric that would work well. Our practicing has chosen the right size needle and the strongest twine. The prototyping is done for you. Now create! Using a very easy pattern, few supplies and minimal labor, you can create your own wool topper. Locally grown, carefully sourced wool could top your mattress, providing you with a smooth, flexible surface to sleep atop. A wool topper pattern is available by itself as well as a wool topper kit, which includes the pattern as well as supplies. New supplies have appeared in the Supply section just for this project: twine and a 5″ tufting needle. If you make a topper, please send us a picture! We would love to showoff your handiwork for you! 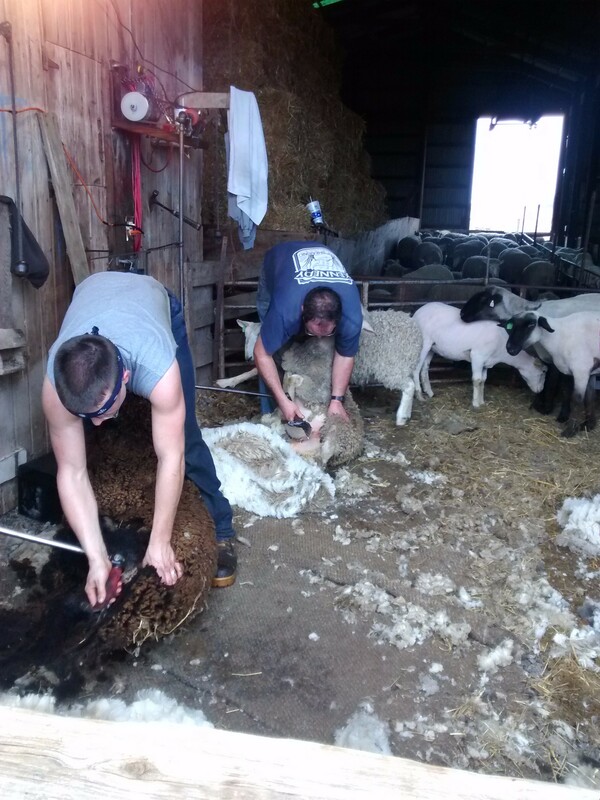 Shearing Season is Here and so is our Wool! Spring has come and with it, warming weather and sheep ready to lose their winter coats of wool. We are in hands on pursuit of great wool for our products this year. With a need of 3500 lbs. 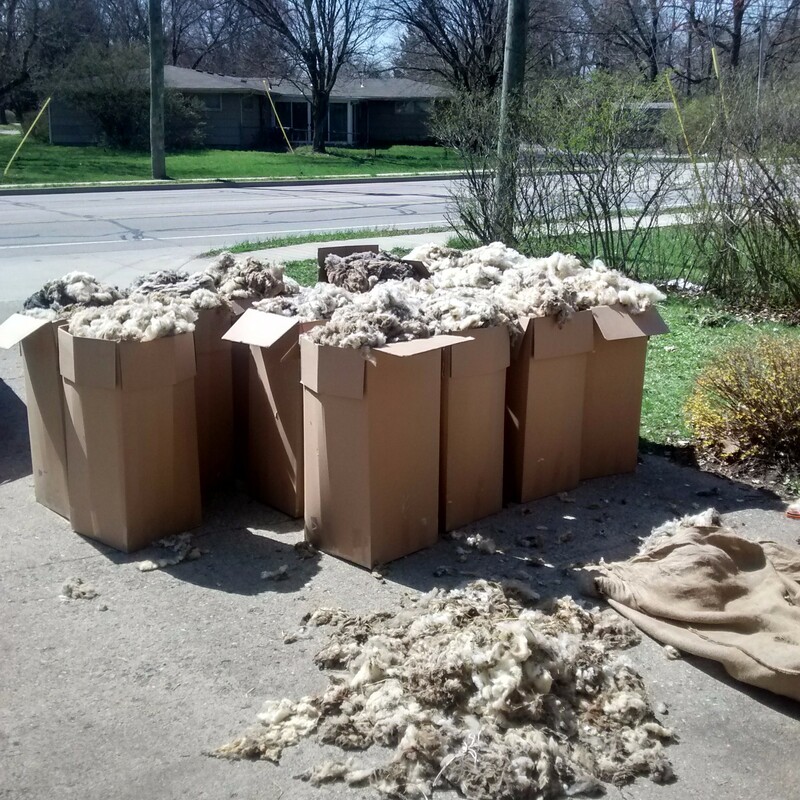 of wool for a run of our own wool blankets, plus more for our wool batting products (toppers, comforters), we have purchased a total of 4765 lbs. of wool. Do you think it will last us until next Spring? Woolly Bolas – New Product! A lot of inquiries have come through lately for woolly bolas, small wool balls. They are lightweight and rather fluffy twisted bits of wool fiber. 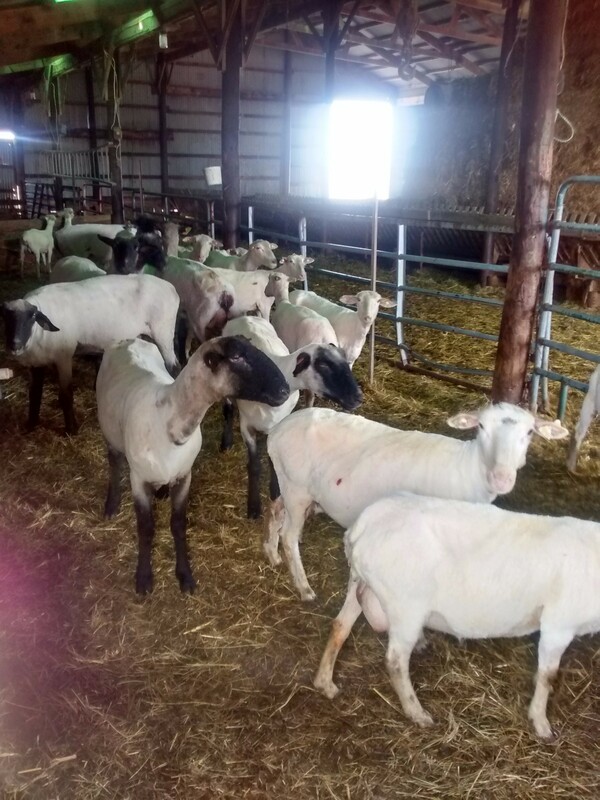 Sheep are pastured and cared for. 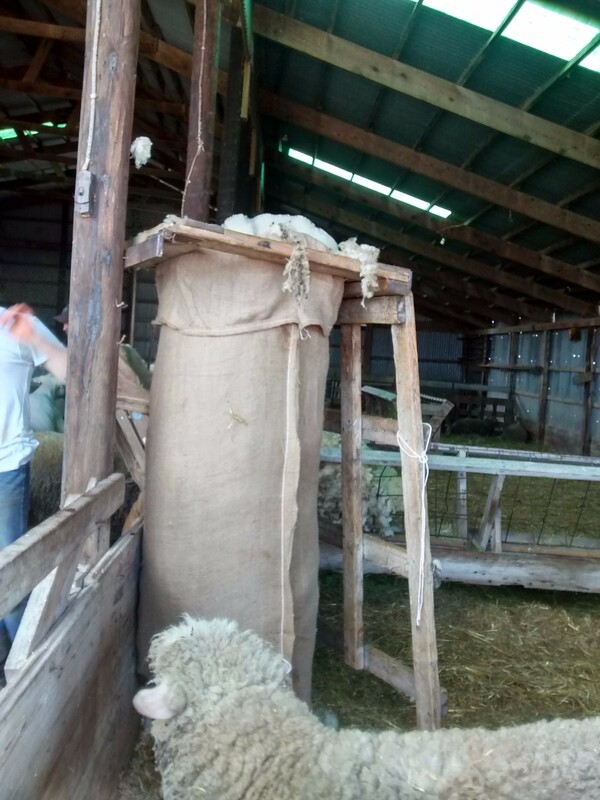 The wool is picked by a machine to remove the burs and other stubborn vegetation. 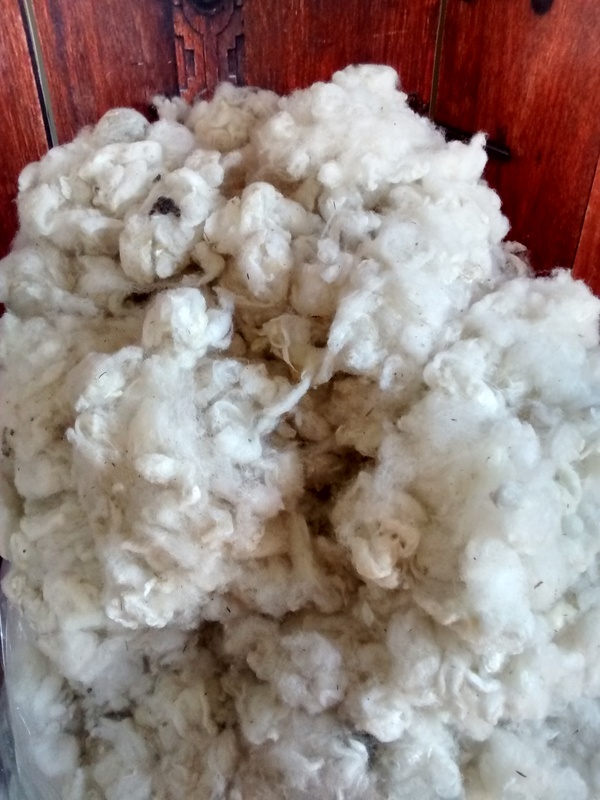 The wool is usually carded, a machine which brushes the fibers into a sheet, untangling their knots and smoothing them out to make batts or rovings or the start of many other wool projects. 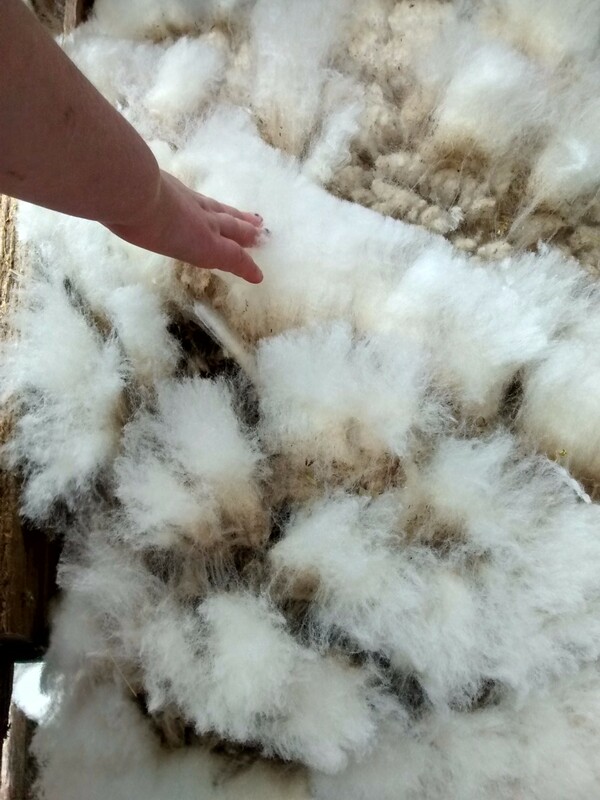 However, when the carding machine runs backwards, instead of brushing and layering the fibers into sheets, it twists the fibers into small wool balls commonly dubbed bolas. We feature woolly bolas both in our Wool category and our Supplies category. They would make great stuffing for a pillow or any craft you need stuffed. Since they are lightweight, you will need only 1/2 as much as you would wool batting. Why are they named bolas? Bola means ball, in a few different languages. Did anyone else beside thinking of the weapon, think of the spider who makes silk bolas to catch his prey with. I guess those nature radio shows I listened to as a youth did leave some lasting learning. Creativity drives us here at DIY Natural Bedding. Sometimes we create because we must; sometimes because we see a need for an item; other times because we like to make a choice not just logically but tactically; sometimes because we need to feel the freedom that in creativity is limitless; because we have time to fill. I know that you are a creative crowd too, because here you are, on a DIY site, searching for something you can create. We want to help you create, repurpose, and invent, no matter your level of inspiration, motivation, or skill so we have created a new menu in the shop: Custom. This menu will give you three tools to help you in the planning stages of your project. Use them and feel free to contact us with any questions. Our Custom Sewing page gives you details on our sewing work. As with our ticking, we go to either extreme and in between: We can supply you with fabric or we can sew up and stuff your fabric for you or most interesting for us, we can create you an entirely new design never conceived before. Our Custom Latex Cuts will give you the price of a piece of latex you want us to cut for you. 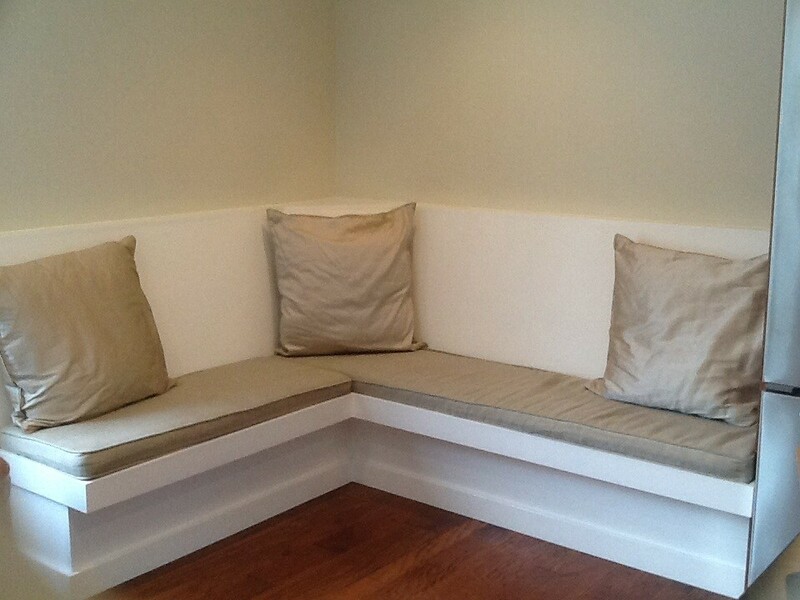 We can cut standard angles or even your odd shapes like for a boat mattress or a crescent nursing pillow. If you want to cut your own, check out the Clearance section for a variety of depths and firmnesses. Our Custom Pillow Fill Weight Calculator is a very useful tool if you want to know how much fill a shape. 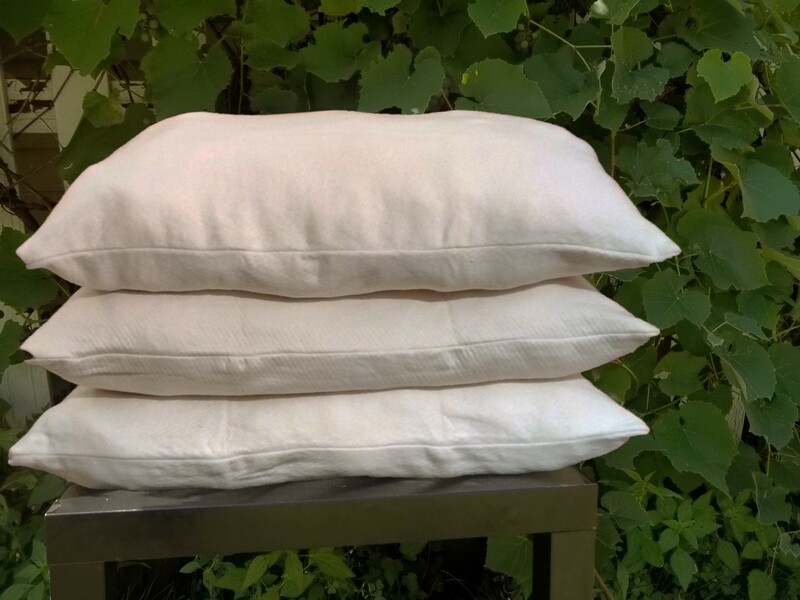 Are you making a bed pillow, a dog bed, a bean bag chair, a pincushion? With three simple steps, you can know how much fill you might need for your project. Enter in your dimensions, pick your shape, and choose your type of fill to see a total weight provided. Square cubic inch measurements are also provided for your mathematical pleasure. The difference between our previous size and standard sizes is small, only 2-3 inches depending on the pillow label; however, we wanted to give you those extra inches that you might be accustomed to. Funny thing is shredded latex pillow sizes are not standard, mostly nowhere. Each company has their own standard size, for example here are the first three numbers a web search produced: 17″ x 25″, 16″ x 25″, 18″ x 24″. Despite the industry’s inconsistent variations on latex pillow sizes, since we offer cases alone without fill and since we want your bed setup to be as aesthetically pleasing as possible, we will standardize our sizes to the above numbers. We still can make any pillow size you like. If you have a pillow of our old size and you would like to purchase a second matching size, let us know and we’ll sew you a new case for no extra charge. And if you need anything custom project sewed, we’re happy to help. Today I spoke with Debra Lynn Dadd on her radio show Toxic Free Radio. Back in 1984, she started writing books on toxic-free living. To complement those seven books, she now hosts a radio show with daily interviews to people providing natural information and options. Here is a link to listen to our archived show. Thanks to your help growing our business, we are now able to purchase fabric at greater discounts than we could when we only bought 30 yards at a time. While we realize that quality materials and organic fabrics come with their own price tag, one of our goals is to make buying natural bedding as affordable as possible. So we will share our discounts with you in the hopes that you now are more enabled than before to purchase chemical free products for yourself and your family. Perhaps you happened upon a piece of latex in our Clearance section that is just about the right size for your projects or maybe you have an old couch made of latex that you are ready to part with but you realize there is still life left in the foam, so you get creative. 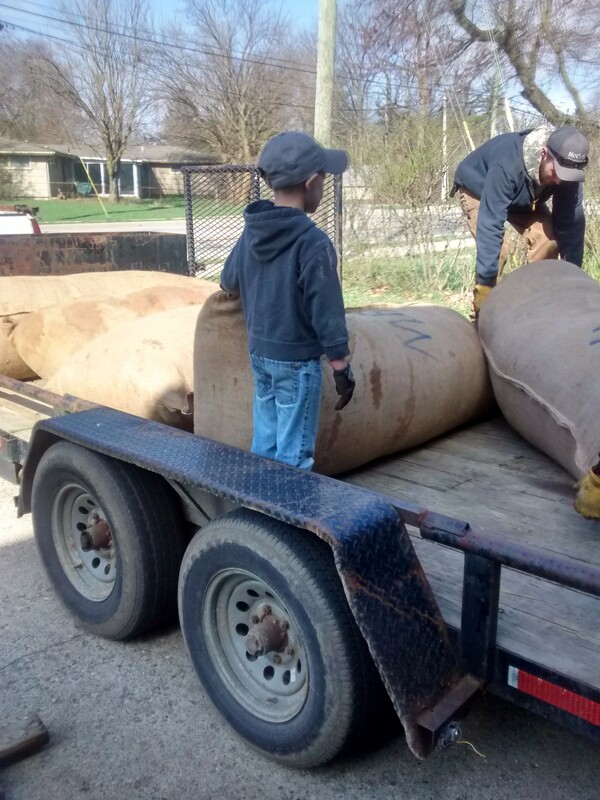 Your new project could use some natural latex but you want to save a few dollars by cutting it yourself and not paying us to cut it. Here is how you DIY a latex cut. The best tip I can give you is to use a slow, steady hand, not pulling the latex apart as you cut, but letting it sit still. Draw your cut on the latex with an extra fine tip permanent marker and a yardstick or an upside down tape measure. Make sure your line is straight as you will be watching it very closely when you are cutting. Do not draw your line according to the pinholes on the latex as they do not always line up vertically and horizontally to the edges of the latex. Rather measure from the actual edges of the latex. Place your two tables next to each order with a 5″ or so gap between them. Place the latex on the tables with the cut line in the space between the tables. An optional step, but perhaps beneficial step is lubricating your blades. If you have a silicone spray lubricant around, spray both sides of the blades to provide an easy cut. Position yourself in a comfortable position, accessible to the cut. Depending on how large your piece is, you may find it easiest to cut the latex if you crawl on top of it. If you do so, make sure your knees are not pulling on the area of latex around the cut. Position the cord of your knife so that it is not in your way as you move backward along the cut or in the cut’s way. Align your knife on the line, turn the blades on and very slowly, cut down your line. It is easiest to pull the knife toward you rather than to push it away from you. Keep your knife hand over the line so that you do not end up with a cut inches to the side of the line on the bottom of the piece. If you need to shift your position, turn the knife off first, adjust and resume. Do not stretch the latex when cutting. 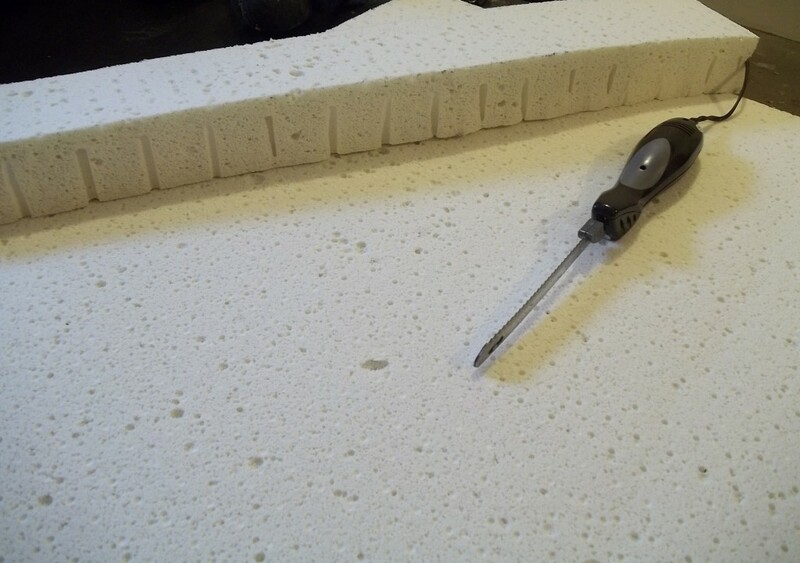 It is a very flexible foam and stretching or pulling it during your cutting will give you a wobbly cut line. The holes in the latex may give you a slightly wobbly drawn line; you may have to eyeball a straight line from each hole. Just like when you cut wood and leave behind sawdust, there will be a little shredded latex on the ground to sweep up. Of course, if after reading this you have changed your mind about DIYing your cut, give us a call and we’ll cut it for you. To get a quote on a custom cut piece of latex, visit our Custom Cut Latex Calculator. 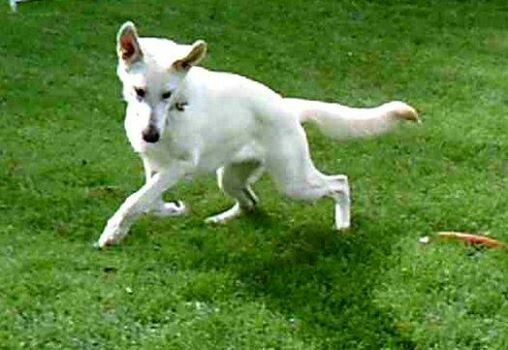 When this herding dog saw a felted wool ball for the first time, he circled it, eying it, sniffing it, crawling up to it to nuzzle it and then backing away. He recognized the wool, but the wool did not move as a sheep does. After a while, he realized the wool was not alive, stopped herding it and had great fun with it. To be completely honest, the pictures are actually of his first exposure to a garden hose, but his owner said his initial reaction carried the same surprise and wariness. The felt is so strong that not only did the dog not tear it up, when the wool was felted around an inflatable ball, his teeth did not puncture the ball, only the wool. 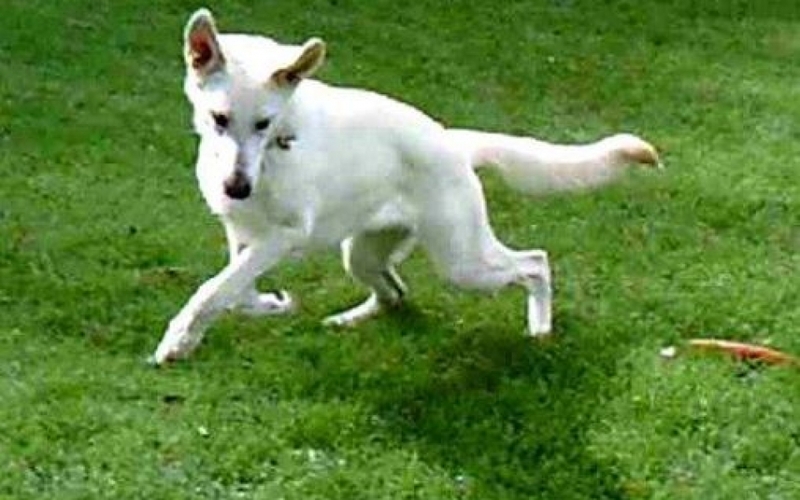 His owner, Linda, said the ball is a special toy, to be taken out at certain times. While he did not tear it up at all in the short playtime with it, if given alone time with it, his teeth are strong enough to tear it to bits. 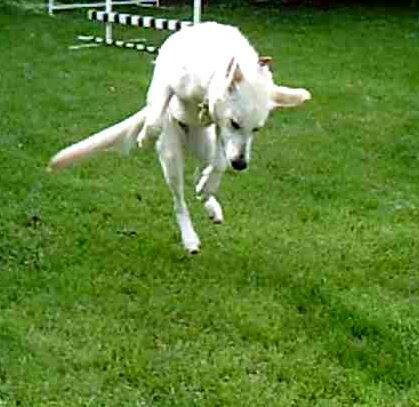 How do you get your dog to herd a ball without puncturing it? Wet felt it. Linda and Kitty spent an afternoon with me experimenting with dog toys and wool, nylons and wet felting. 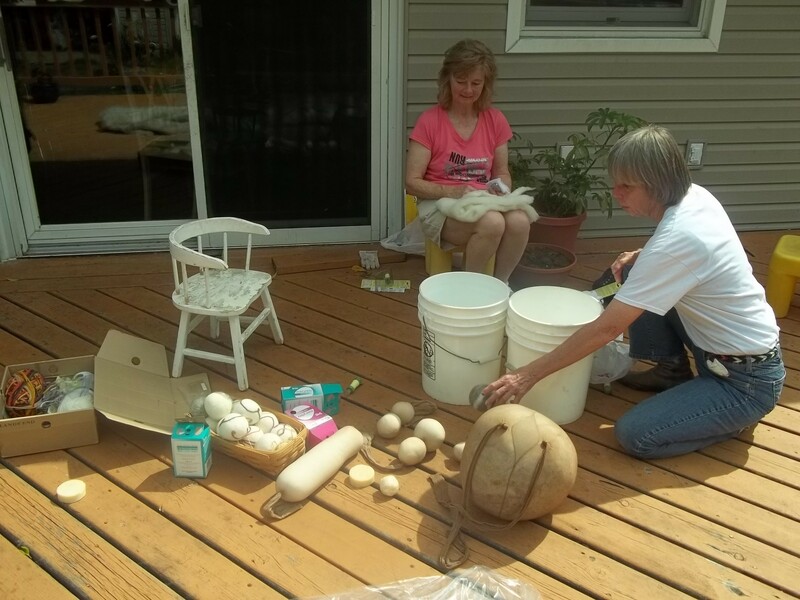 They left with wool wrapped items to throw in the washing machine at home. You can see the prefelted items in the bottom right corner of the last picture. After wet felted, the croaker still croaked and the squeaker still squeaked. The 12″ ball did not fit in the leg of the nylon like the dryer balls do, but it did just barely fit into the waist of the stockings. You can see the funny creature with floppy nylon ears in the very bottom right of the picture. Kitty and Linda are DIYers with Kitty traveling around the nation to dog shows selling leashes that Linda makes from braided leather. Thanks to the New Hope and then the Golden Valley Farmers markets for introducing us. One of many things summer means is corn – fresh, hot, buttery corn. But as I was reading of basic mattress and pillow fills that our ancestors used to use, I realized there could be more to the corn plant than just its kernels. What about the husks? My guess is that tree leaves also would work for stuffing, but husks must be stronger than a standard tree leaf, so I collected cornhusks. Some husks I dried in my basement and some on my deck. In the second picture, you can see the sun bleached the deck ones while the basement let the green color remain. I collected the husks from about 30 ears of corn. I spread each batch out to dry after the kids husked the corn for dinner. The leaves took about 25 hours to dry out on the deck. Stuffing the pillow was simple. Sleeping on it was the real test. At first glance, it was rather lumpy, so I folded a towel in half and slept on two layers of towel on top of the pillow. The noise was the first apparent difficulty, but as I was quite tired from unpacking boxes all day, I fell asleep easily. With the lumps not an issue and the noise not too bothersome, the next dilemma was the compression. Halfway through the first night, the pillow flattened out, loosing maybe 2″ from the beginning of the night. To be fair, I had only stuffed it loosely and dry husks crinkle up in distorted shapes to take out a bit more room than they would have if they were fresh. Since I did not want to make this a permanent pillow, instead of drying more husks and filling it up more, I put a thin pillow underneath it and slept on both the next night. Those few nights experience was enough. 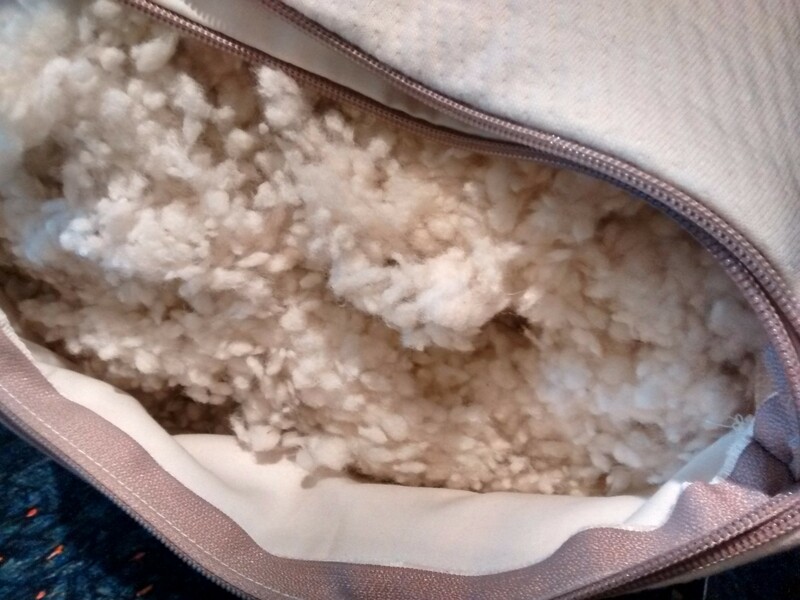 Then I went back to my wool pillow, which is soft and not noisy at all. We’re moving. Local is becoming West Lafayette, IN. Due to my husband’s job change, West Lafayette, home of Purdue University will become this business’s home as well.. All online orders will be processed out of there as well as shipping of most custom orders and swaps of all Buy and Try. We will continue to show the latex and ticking samples out of our home there. Contact information stays the same. Warranties, Buy and Try Policy and our products stay the same. To schedule showings in MN or IN, see our contact page. Thanks to all of you in Minneapolis who have helped our business grow. We hope we can continue to offer you bedding options that meet your needs, enable your choices and work for your pocketbook. Those reasons are the some of the best reasons to DIY. Friday, August 15 – Tuesday, August 19 – All items in stock are 10% off. Almost all pillow parts, kits and fills – Use coupon code “stock10%” at checkout for 10% off. 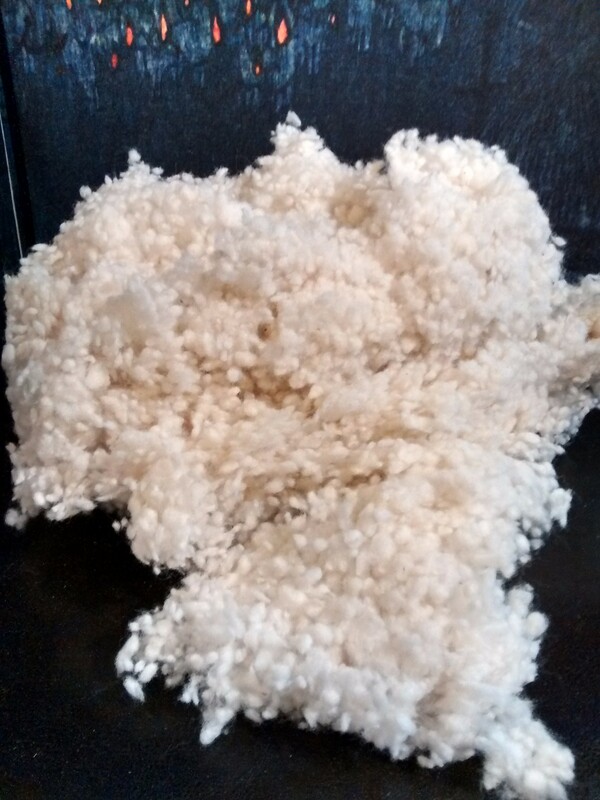 Shredded Natural Latex by the lb. All Clearance items- Use coupon code “stock10%” at checkout for 10% off. As stock is sold, items will be removed from the sale, though will still be available for regular price purchase. Stock items will ship out on Thursday 8/21. Our shop will be closed for shipping from 8/22 – 9/1. Some orders will be processed, but they may be delayed about a week. Orders may still be placed online and emails may be sent, but phone calls may not be answered until 9/1. Thank you for giving our family a nonworking week!